Delimiters are a sequence of one or more characters used to specify the boundary between separate regions of text, like a text placeholder. Delimiters are frequently used to create template-like content that can easily be re-used for Sales Presentations, RFPs and any other content intended for clients. On behalf of CapacitiTech, I would like to thank you for sending us your Request For Proposal. We enclose our proposal and recommendations for the provision of <Service Interest> Services for <Company Name>’s consideration. With over 25 years' experience, and as a recognized leader in our field, CapacitiTech is ideally positioned to fulfill <Company Name>’s requirements for a robust, reliable and yet reliable, cloud platform. Our proven track record, with big brands like MegaCorp, Acme and Adtrill, are testament to the exceptional customer service and care CapacitiTech offers its customers. References have been included, as requested, along with our proposal for your perusal. Thank you again for the opportunity and we look forward to working with you. Whenever this cover letter template gets used, sales teams would be expected to replace all the text placeholders with the actual customer first name, company name and relevant business development manager contact, and usually by typing in those values manually, or copying and pasting them into the document. Depending on the length of the document, this can be quite time consuming and tedious, and is prone to human error. To save time and effort, and improve accuracy, Qorus can scan the body of a Word document or the contents of a PowerPoint slide deck, find the text placeholders, and surface these as Smart Fields in a dynamically generated form. The Smart Fields form is quick and easy to fill in, and once completed, auto-populates the document or slide deck with the right information in all the right places. If the same text placeholder occurs in several places in the document or presentation, as is the case with the 'Company Name' in this example, users only need fill in the corresponding Smart Fields just once, and Qorus will populate all occurrences of that text placeholder in the document or presentation. 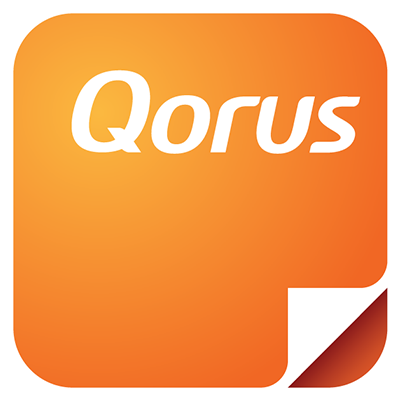 The first thing you'll need to do is login to the Qorus Management Portal, and click on 'Hub Management' on the left nav. Enter the starting and ending delimiters you have used within your content, and click on 'Save'. As you setup your delimiters, you should know that delimiters can be made up of one or more characters, and it is generally good practice to create delimiters based on characters that do not usually occur as part of the normal body of the text. If you’d like to use characters that frequently occur as part of the normal text of your content, like parentheses (), or square brackets , then a simple but effective strategy would be to double up on those characters, like this: (( )) or [[ ]]. How does one initiate the fill form to appear in order to populate your delimited smart fields? The Smart Fields form appears whenever you insert content that contains delimiters, and also whenever you use Compose with content that contains delimiters. You can read more about Smart Insert here, and how to launch Compose here.